All 11 originals on this album are composed by Canadian tenor saxophonist Griffith. The music is contemporary jazz with post-bop and straightahead leanings and occupies that rare terrain between the pull of the unique and comfort of the familiar. 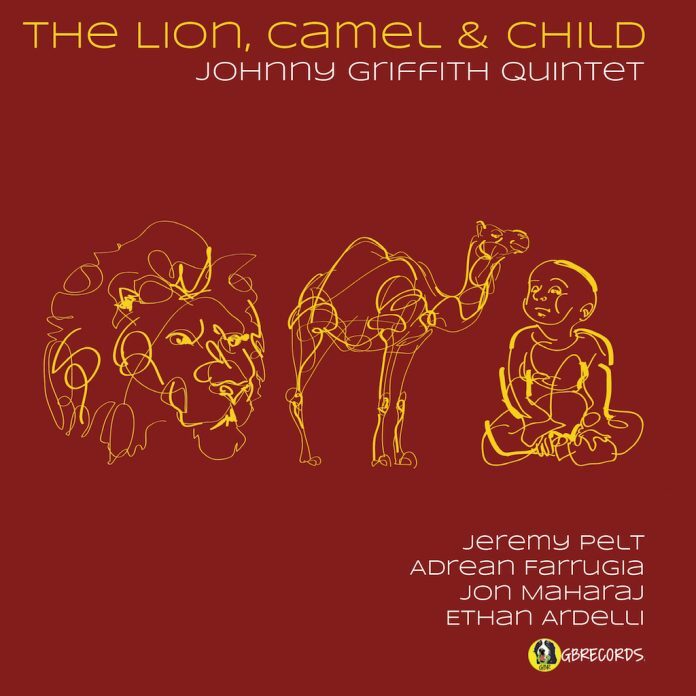 It’s inventive, addictive and played with passion by a quintet comprising four of Toronto’s leading musicians plus New York trumpeter, Jeremy Pelt. The Lion, Camel and Child suite forms the first 19 minutes of the album. Griffith says it was inspired by Nietzsche’s three metamorphoses from Thus Spoke Zarathustra: “Metamorphosis is concerned with what propels each new phase of human growth so it seemed fitting to frame this as a suite – each track individual unto itself yet when listened to as a whole represents the arc of the personal struggle to know more and be more”. “The Lion” is a symbol of virtue and tenacity that breaks free of its self-imposed cage. Its freedom is frenetic and this part of the suite is a nod to the uptempo of bebop when jazz broke free from popular form. “The Camel” bears its burdens with courage but yearns for more in life – this part is pensive and has a distinct Middle-Eastern flavour. “The Child” views life as a joyful game and is unconcerned with external approval – this is the most playful section of the suite. On listening though I did find it hard to discern allusions in the suite attributable to Nietzschean philosophy – but that’s no problem – this music certainly holds up by itself. These are really well-constructed pieces and the band delivers them with finesse and zest. Of the ensuing compositions: “Narcomedusae”, named after the jelly fish, has a floating melody that ripples over a pulsating rhythm; “Strawberry Qwik” (a popular drink) is dominated by Griffith’s sax with a sparkling solo from Pelt. Amidst some hard driving from the band, Amarone provides a calmative ballad with soft sax and nicely muted trumpet; “Derailed Painter” is a neatly played bop piece; “Deliciously Ambiguous” disconcerts with an irregular melodic pattern; “The Corridor” is unresolvedly tense and “Last Say” has Pelt soloing wistfully à la Miles Davis. Farrugia on piano, Maharaj on bass and Ardelli on drums shine throughout this admirable album. Repeated listening gives much to chew over. Griffith (ts); Jeremy Pelt (t); Adrean Farugia (p); Jon Maharaj (b); Ethan Ardelli (d). Toronto, September 2017. "...inventive, addictive and played with passion..."